VetriScience GlycoFlex Plus Canine Formula is an advanced joint support supplement for dogs over 30 lbs. 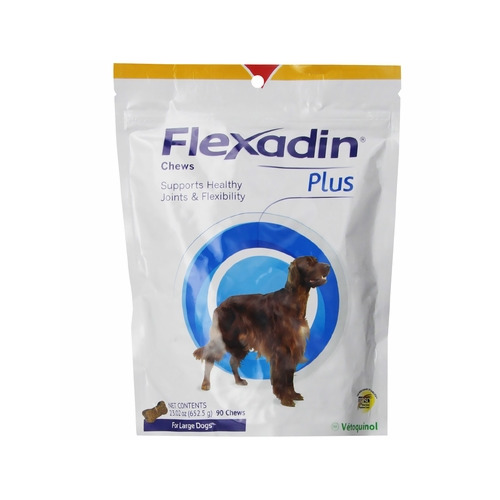 The unique blend of Glucosamine, MSM, Chondroitin, DMG, Perna and beneficial antioxidants has shown clinically to increase hind leg strength. Vetri Science Glyco Flex 3 Small Canine Formula represents Stage 3 of a comprehensive life stage program for small dogs needing advanced joint support. These delicious chicken liver flavored bite-sized chews are recommended by veterinarians for small dogs with a maximum need for joint and connective tissue support, geriatric and working small dogs, as well as a follow-up to orthopedic surgery. Glyco Flex 3 Small Canine is formulated for dogs less than 30 lbs. ProMotion is a palatable supplement with potent antioxidants and joint nutrients to maintain joint health, joint mobility and healthy cartilage in dogs & cats. Joint health has a tremendous impact on the activity level and quality of life of pets. ArthriSoothe GOLD provides optimal levels of Glucosamine, Chondroitin, Green Lipped Mussel, Hyaluronic Acid and MSM. This combination is recommended to help support, maintain, and contribute to rebuilding damaged cartilage and tissue. S3 Mini Soft Chews is a full-strength synovial support supplement supplying the geriatric, arthritic patient with Glucosamine, MSM, Creatine, Perna Canaliculus, Omega 3 fatty acids, Vitamins, Minerals & Antioxidants. Highly palatable liver-flavored chew. ProMotion is a palatable supplement with potent antioxidants and joint nutrients to maintain joint health, joint mobility and healthy cartilage in dogs. Joint health has a tremendous impact on the activity level and quality of life of pets.